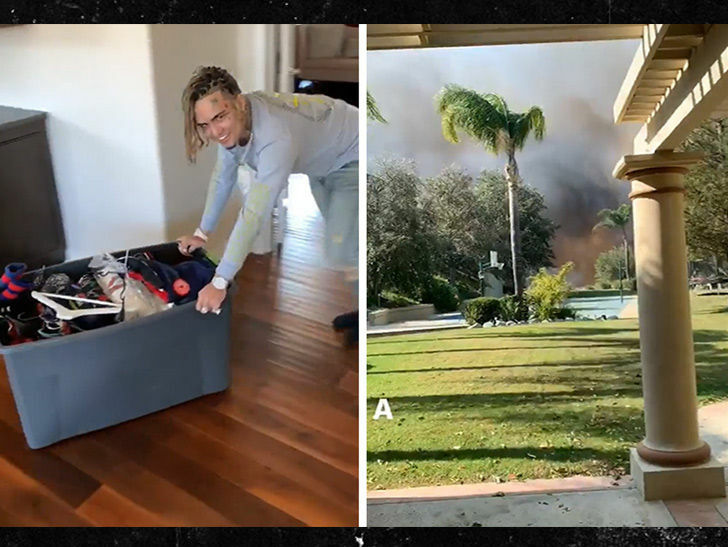 Only Lil Pump could make a mandatory wildfire evacuation a recreational activity — and he did it as the flames were racing into his backyard. Pump was still in his Calabasas home on Friday afternoon when he started feeling the heat, and decided it was time to get the hell out. The 18-year-old rapper threw a bunch of his stuff in large plastic containers as he got ready to leave. Just watch how he used giant spiral staircase to get all his stuff downstairs — turning the evacuation into more of a carnival game. Hardly the adult approach, but it was efficient. Pump got a rude awakening though when he saw the fire had reached his property, and bolted in his ride … shirt off for some reason. In any event … looks like he’s safe.